Kiss Me Clover is a magnificently designed by Eyecon. This new online slots 5 reel, 25 payline has a lucky Irish theme to go along with its exciting gold coin-filled features. If you've been searching for the pot of gold at the end of the rainbow for quite some time, then now is your chance to find it. With incredible features such as the gamble bonus feature and lucky wheel feature, the luck of the Irish is bound to rub off on you. By the end of the play new slots you'll be dancing around the room like a little Irish leprechaun! If you love promo's, check our online slot bonuses today. 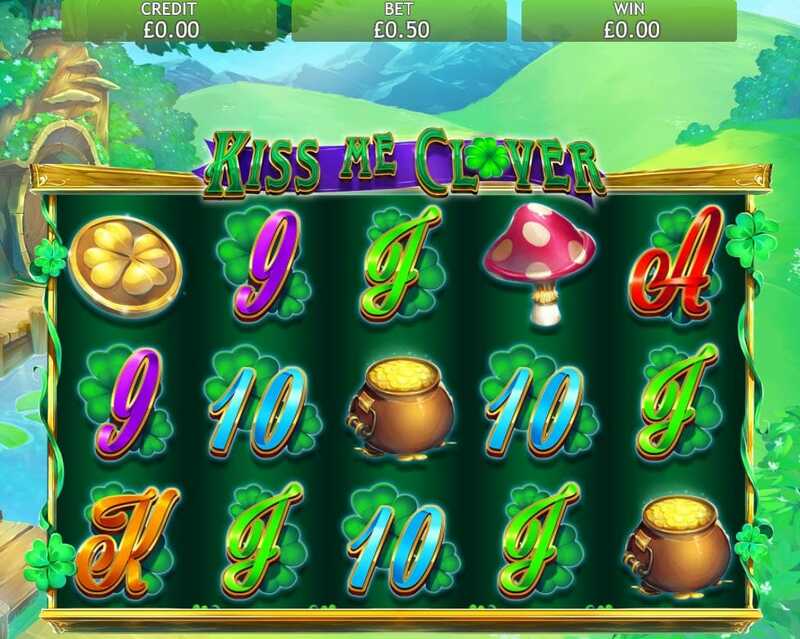 Kiss Me Clover is an Irish luck themed game with 5 reels and 25 paylines. You'll feel nice and relaxed playing this game as the scene is so peaceful and tranquil. Behind the reels you will see miles of meadows and hilltops, a narrow winding river, clear blue skies and a large oak tree which is home to a little leprechaun family. The symbols on the reels are just as Irish as you can imagine. These include a luscious green leprechaun hat, a shiny golden coin engraved with a four leaf clover, a smiley leprechaun lady, a toadstool and a massive pot of gold. Gamble Bonus Feature - Two options will be shown on your screen. Choose correctly and your winnings will be doubled. It really is all down to pot luck. Lucky Wheel Feature - Landing 3 or more four leaf clover symbols will unlock the lucky wheel feature. This allows you to spin the wheel and increase your steak by 100x if you're lucky. 25 free games are also up for grabs. 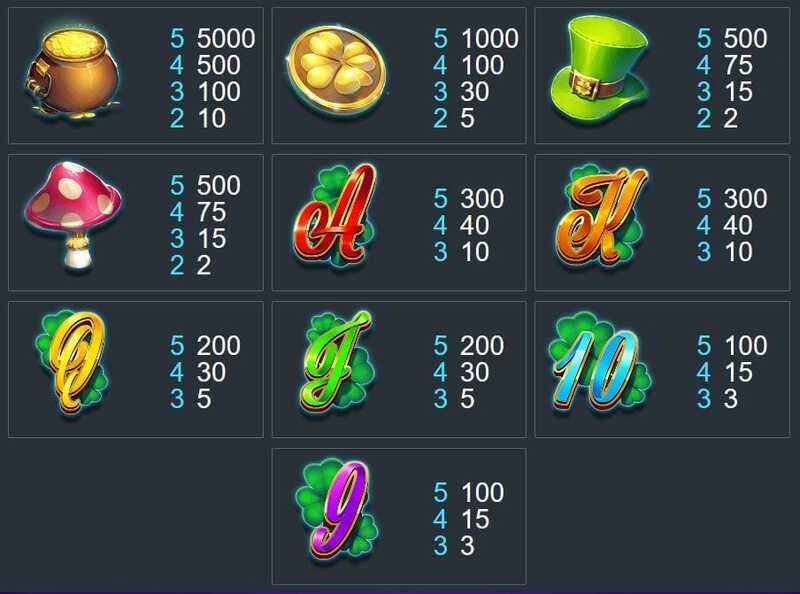 The Lucky Leprechaun Lady - If you land 3 or more lady leprechaun symbols then your prizes will be tripled. She replaces all other symbols on the reel to create winning combinations. Landing 3 leprechaun ladies will award you with 15 free games, landing 4 will get you 20 free games and if you're lucky enough to land 5 of these symbols, you'll gain 25 free games.